Yup, still here. Still pregnant. Still eating lots of yummy things!! In this part of the county it's a staple at every yummy southern restaurant - that and some form of cobbler. So I decided to try my hand at my making my own. 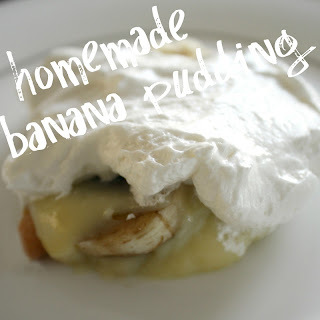 OMGeeeee, delish! Mix milk and egg yolks to a medium saucepan and whisk. Then add the sugar, flour, and salt and whisk again until it's smooth. Cook over medium heat, stirring constantly, for 20 minutes or until it thickens. Remove from the heat and add your vanilla. 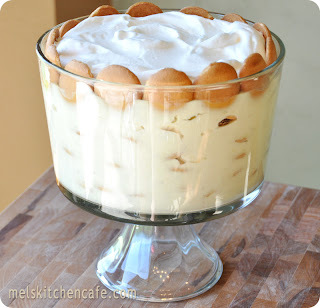 I decided to arrange my banana pudding in a large dish. 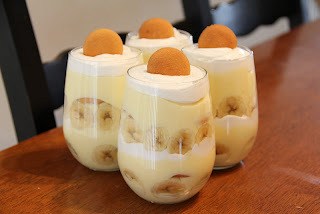 I started by arranging a layer of wafer cookies and a layer of bananas. 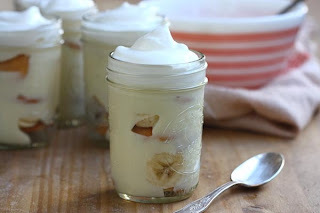 Repeat your wafer cookie, banana, and custard layers until the custard is gone. Spread the cool whip over the top. Eat as is or give it several hours to cool. I love both! 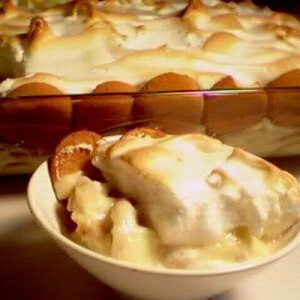 Another awesome thing about banana pudding is that you can make and arrange it in a variety of ways. 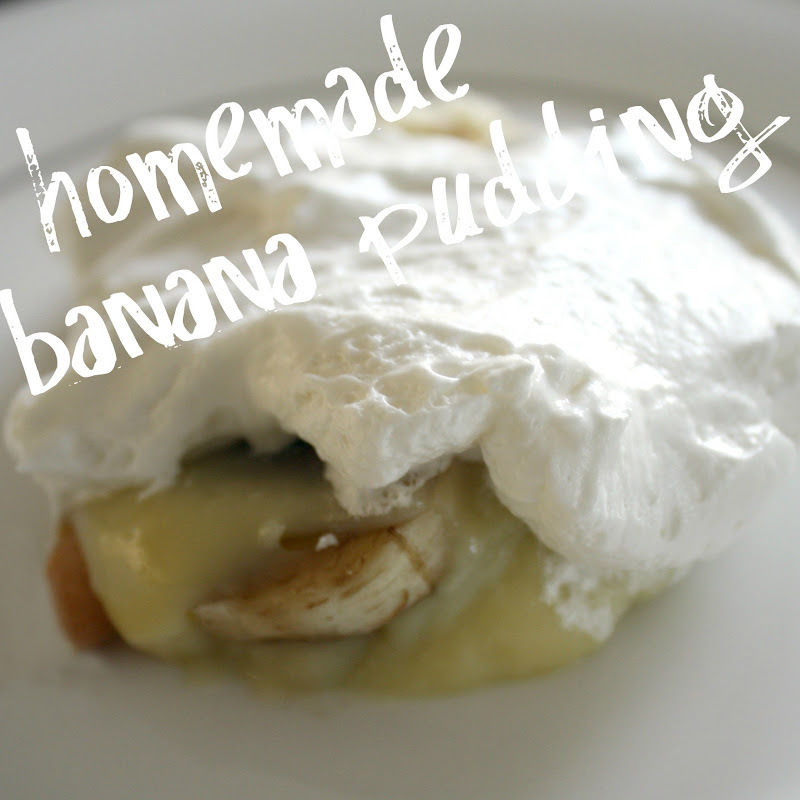 Check out some of awesome looking banana puddings! !